Friday morning there was a launch opportunity for COSI. I walked out to the hill above Scott Base once I thought inflation was starting. After about an hour and a half of standing around in the cold without seeing any glimpse of an inflating balloon, I decided to go back to McMurdo to wait for inflation to actually begin. When I got back I found out that the launch had been scrubbed because of wind. 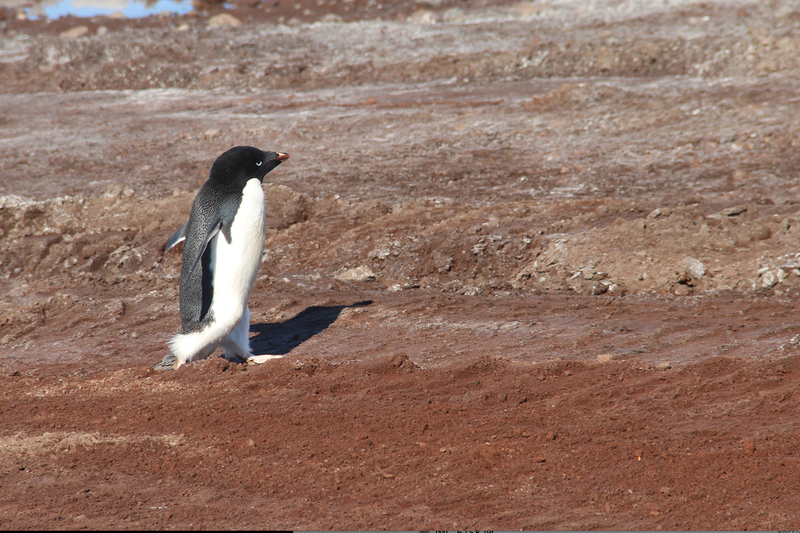 After lunch on Thursday, we got a tip that there was a penguin down by the ice pier between McMurdo and Hut Point. Thomas and I wandered down about halfway and saw the penguin taking nap while Sean got a haircut. Once Sean was done, we all walked back down and the penguin was still lying there. We walked out to Hut Point and looked at the seals that were lying around nearby. On our way back, it looked like the penguin was gone, but then we saw it walking towards land. It walked over onto the dirt area by the pier, and then eventually walked more or less parallel with the road, so we kept walking alongside it. Eventually I got out ahead of it and it walked within about 10 feet of me. Saturday I worked in our cubicle in building 175 most of the day. There wasn't too much else going on. After dinner, we had a logistics meeting with James, from the groom team, and Ryan, our science implementer, and talked about the plan going forward. I'm sure it will change 16 or 17 more times before we go out, but as of right now (Monday) the groom team (the Super Groom Team, as we've been calling them) going to Thomas Hills is a backup mission for the LC-130 tomorrow. If they're not able to get out then, it might not be until early next week. The rest of us (Tiger Tail, our new nickname is) will leave once the skiway at the SuperTIGER site is ready. So we'll definitely be in McMurdo for Christmas, and then we'll have to see. Sunday was cold and windy and overcast, so nothing too much happened. Sean got our two shipping containers organized, and Monday morning we went over and looked through it all. One of the containers we've been using is going to stay here at the LDB facility, and we're going to use our other container and part of a container that has EBEX stuff in it to ship everything back. Tomorrow we'll go through and put our stuff in the EBEX container and try to re-organize things so it all fits.